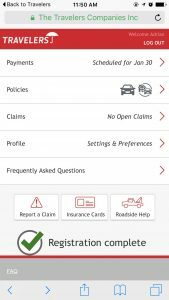 The Organized Insured – Hermitage TN | Bush Insurance & Financial Services, Inc.
M any of our carriers offer the amazing convenience of a mobile app to their policyholders. The usual benefits of paying a bill or viewing your policies are there, but some carriers are going beyond this to include even more information for you. Steps are given for what to do in the event of a car accident, along with a way to take photos of damage to upload directly to the carrier. Locked out of your car? It won’t do you much good to have your roadside assistance number in the glove compartment where you can’t get to it! The app has immediate touch-and-dial to the roadside assistance number you will need. Insurance cards can be shown electronically to a police officer here in Tennessee, so your most up-to-date insurance information will always be right on your phone, in case you need it. Our agency name appears on each app, making it easy for you to share our information and your policy number with another driver in the event of an accident. It’s great to have these free, convenient tools right on your phone when you need them. Make sure all of your family uses the app, especially your new driver in the family. Give us a call to see if your insurance company offers a mobile app, and take advantage of it! “I have known the Bush family for more than 40 years. Bush Insurance and Financial Services, Inc. provides outstanding service. Their goal is to take care of their clients and provide immediate help, no matter what they need.